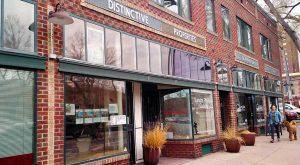 An east Denver brokerage has bolstered its residential real estate business after merging with a local competitor. 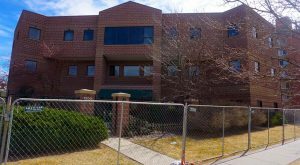 Denver’s densest neighborhood is about to get apartments in what developer Brian Wynne said was a “best of both worlds” location overlooking downtown. 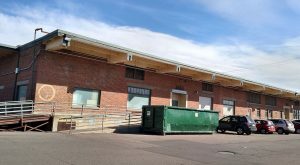 Two RiNo-based developers are doubling down on a North Denver investment, in a space on York Street across from the Coca-Cola Bottling plant. 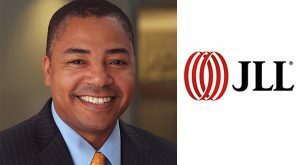 After brokering deals for the city for five years, the executive director of the Office of Economic Development is leaving city hall for a downtown real estate firm. 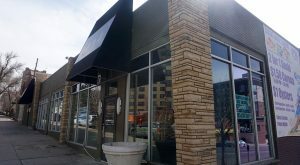 A for-lease sign now fills the window of the storefront at Ninth Avenue and Lincoln Street. 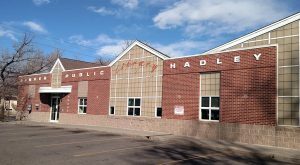 A seven-figure facelift is bringing a Southwest Denver library up to speed, and closing the book on a decade-long library renovation spree. An Adams County industrial park lands its first lease, a new yoga company moves into Westminster, and Comcast make a couple big deals in this week’s CRE roundup. 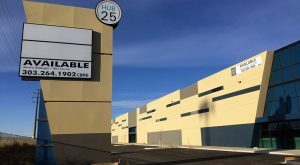 As work nears completion at the 420,000-square-foot site, a food service product maker has signed on occupy one of its four buildings in coming months. 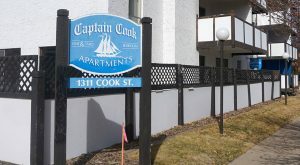 A Denver developer is charting up a renovation strategy for a 40-unit building on Cook Street.